SOLD $320,000 USD Now includes the furniture !!! 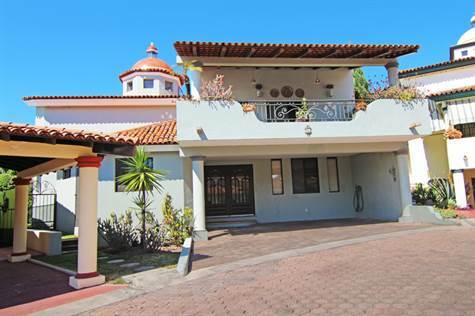 This is a unique custom built home with cathedral ceilings, one of the best run homeowner associations with assets for more than $500,000 pesos (includes equipment & investments) around $26,000 usd, only 15 owners. The gated community known as las terrazas was built in 2001with a lot of features that you don't get even in the must exclusive neighborhoods like purified water directly into your bathrooms & kitchen and with a heavy duty purification system. This property has a very ample master bedroom with all the features that people are looking for (big walk-in closet), a balcony for enjoying your morning coffee with lake view and a double sink countertops and a bidet & shower. Also has a covered terrace with a nice yard with sprinkler system and a storage room. Please call for an appointment NOW !! !